Looking for some alone time far from the maddening crowd? Well, traveling has its perks, from having the motivation to meet new people, chat with locals, and getting all the time in the world to do what you want when you want. Our solo traveler’s guide to Krabi is filled with activities that will make you forget that you are alone. Just 45 minutes from Krabi by longtail boat and around 15 minutes from Ao Nang, this is the perfect spot for a day of adventure. 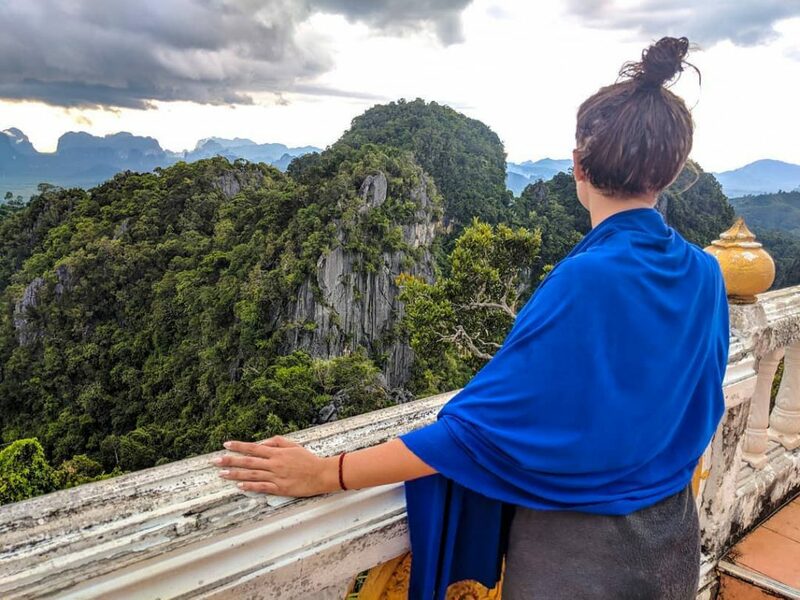 Start by taking in the beautiful waters and karst formations of Railay beach, then, go for a challenging, 20-minute trek to the hidden lagoon. If that’s not enough, go for a rock climbing session in Railay Beach. You are sure to return to your hostel knackered after that. 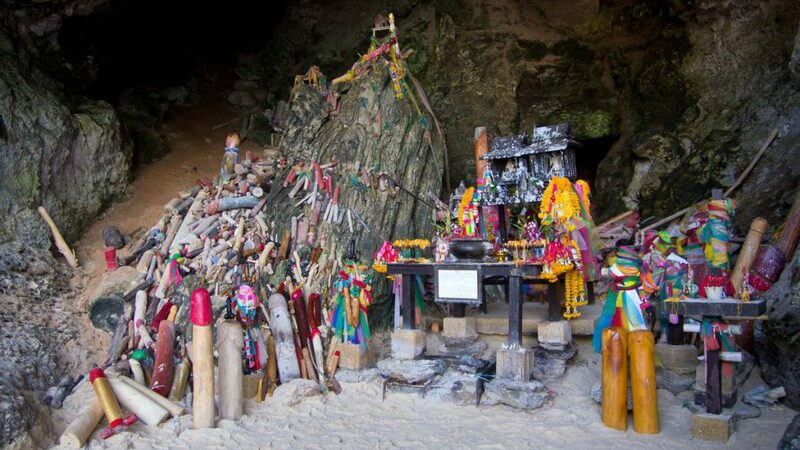 Not far from the pier of Railay Beach is a small cave where phallic offerings are given to a princess figure as a means of gaining prosperity and fertility. From afar the structure of the Tiger Temple encased in the dark rock formation of the cave will awe you. It’s as if you have stepped into the Asian version of Tolkien’s world. It was founded by the Vipassana monk, Jumnean Seelasettho, who was meditating in the cave when he had visions of tigers roaming around the cave, leading to the founding of the temple Wat Tham Suea. Legends say that a huge tiger once lived here, leading to the discovery of tiger footprints on the cave walls and the name of the cave. From the gigantic statues that surround the temple courtyard to the network of caves to explore, you will surely pass a lot of time exploring these caverns and perhaps getting lost in it. Heads up! As this is also a Vipassana center, you can also try going for a meditation retreat if your travel dates allow it. The 3.7-kilometer hike to Dragon Crest, also known as Khao Ngon Nak in Thai, is well-marked and easy-to-follow. On the way to the peak, you will be led to two viewpoints that will give you a taste of the stunning landscape the area has to offer. And, finally, at the peak, which is around 565 meters, you will be dazzled by the panoramic landscape underneath you. Some tips: Try to catch the sunrise on the peak. Make friends with other travel groups so that they can take your picture while you are on the overhang viewpoint. And, finally, bring plenty of water or make sure to buy some from the 7-11 near the entrance before starting your climb. 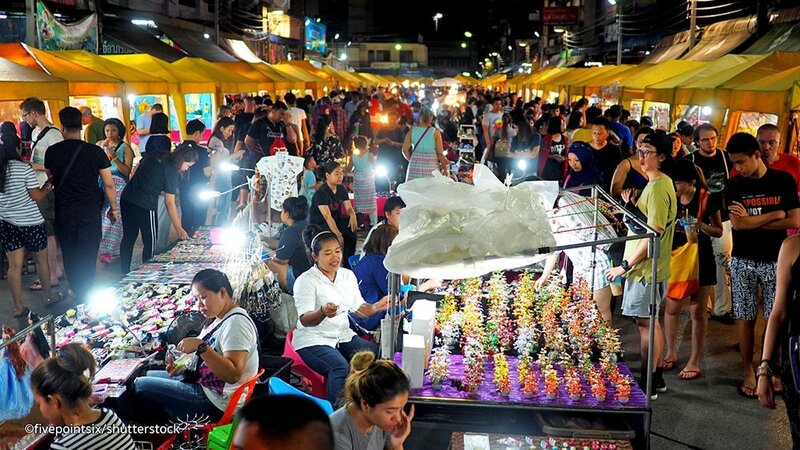 If you are in Krabi for the weekend, head to the walking street and have a look at the colourful wares and delicious local food fot sale at the night market. Take a break at the food court and get some satay and Thai coconut pancakes as you walk around, the colours of the market are accompanied with the sound of music from the street performers located around the area. 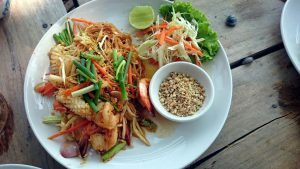 Being the largest food market in Krabi, don’t worry about dining alone as you move from stall to stall to taste the plethora of dishes that are available here. 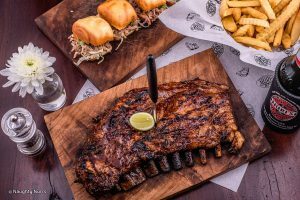 Starting at 35-50THB, you will have an assortment of grilled seafood and meat to Thai curries and maybe even a dab of Chinese and Muslim cuisine. One of the nice things about traveling alone is having the space to try something new on your own. 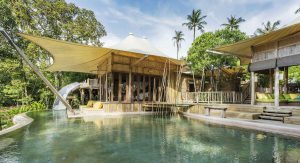 Whether you are a full-on yoga practitioner or someone who has never done yoga, Green Yoga in Krabi Town has a class for you. With daily weekday classes and laughter yoga every Friday, there is a lot of room for exploration in this studio. 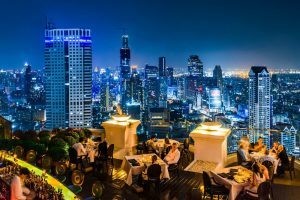 ANY TRAVEL ADVICE FOR SINGLE TRAVELERS? 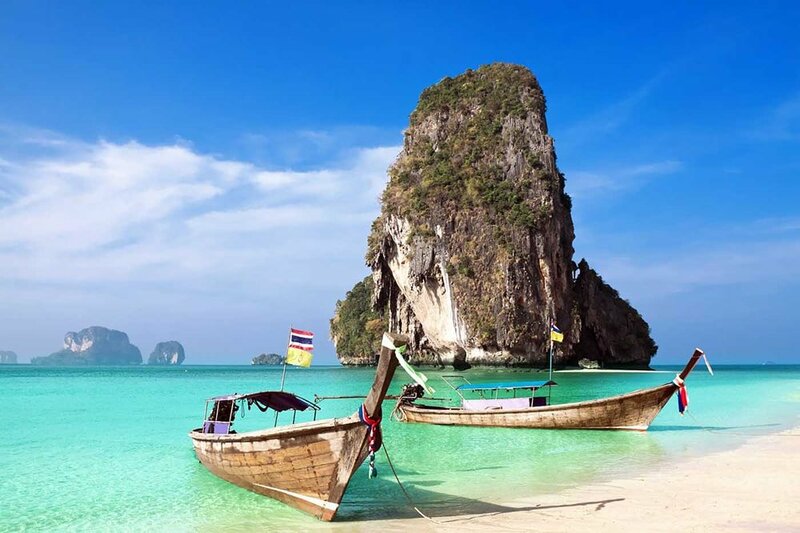 Here we are, a few activities that will fill your days while you are roaming around Krabi on your own. To our fellow veteran solo travelers out there, perhaps throw us a travel tip or two by commenting below?